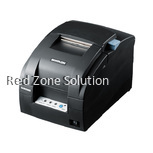 The truth is that if you are going to be looking for the best receipt printer the first thing that you need to take into account is your own demands. The specific problems as well as issues and requirements that your business poses are going to be particularly decisive. 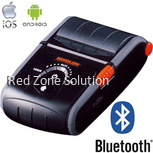 Right off the bat, you want to look at the functionalities that you want your Bixolon barcode printer in Malaysia to have. You should be spying on the competition and making decision solely based on that because what works for your competitor might not be what you need, to begin with. 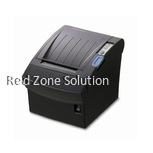 Why Bixolon Receipt Printer ? The first question that you need to ask yourself is why you need a receipt printer in the first place. Then, you need to identify the way in which this particular solution is going to fit in with the procedure that you have of greeting a client or customer to finalising the overall process and saying goodbye. Of course, this is definitely going to be based on the actual connection that you have with your customer. However, the speed of printing, as well as the quality of the print, is particularly important when it comes to it, and that’s something that you need to account for. 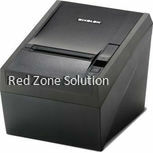 The question that you want to ask here is what you need your printer to be doing? Are you going to place the emphasis on the speed of the print or on its quality? Or maybe you are looking for a convenient combination of both? These are the kinds of things that you need to account for. 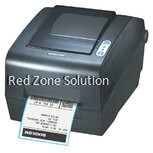 Buying a receipt printer ought to happen after you’ve taken a solid decision. It is vital to be well aware of your cable interface as well as connections before you go ahead and purchase your printing device. USB, parallel or serial connections is likely to be able to connect with your POS or with your computer but it’s highly advantageous if you check it before you buy your receipt printer. In any case, it’s important to make a proper research before you go ahead and purchase a device of the kind. This is going to ensure that everything is handled as per the highest industry standards and that you have made the best choice on the market. Of course, in order to do all this, you need to be aware of your own demands and requirements as well as the issues that you want to address. This is particularly critical, and it’s something that’s going to have an overall impact on your purchase.